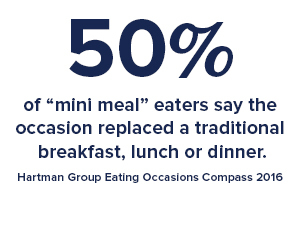 Help fuel customers all day with the flavors they love. 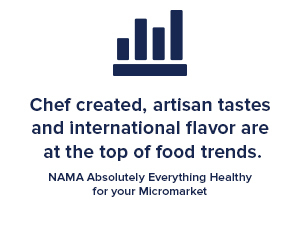 We couldn’t be more excited to be at NAMA sampling the brands and flavors your customers will be delighted to see you offer. 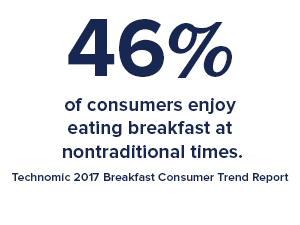 From Big AZ®, and Pierre™ to Tyson®, Hillshire Farm® and Jimmy Dean® brands, you can be sure our full lineup of high-quality, convenient options will make it easy for you to help fuel your hungry consumers throughout the day. Be sure to stop by Booth 1140 at NAMA to check out the lineup of brands and products available from Tyson Foods. We’re committed to learning more and expanding our partnership in the vending and micro-market channels with products, information and support for operators and distributors. We’re also happy to offer your operation customizable merchandising materials like point-of-sale pieces and promotional clings to help engage customers and build your business.